The World Bank transferred Wednesday $31.6 million to the Palestinian Authority from the Palestinian Reform and Development Plan Trust Fund (PRDP-MDTF), a multi-donor budget support mechanism administered by the Bank, according to a World Bank press release. The funds contributed by the governments of Australia, the United Kingdom and Japan will help support the urgent budget needs of the Palestinian Authority, providing interalia support for education, health care and other vital social services for the Palestinian people and for the economic reforms currently underway, it said. 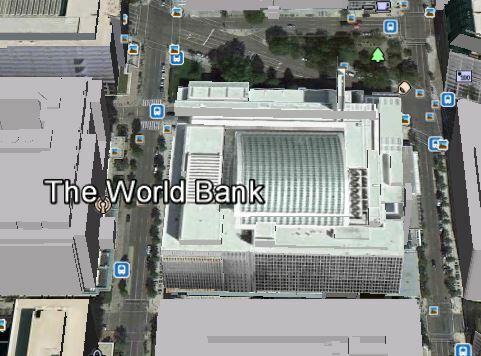 The World Bank PRDP Trust Fund was established on April 10, 2008, through an agreement signed between the World Bank and the Palestinian Authority during the 2008 World Bank-IMF Spring Meetings. 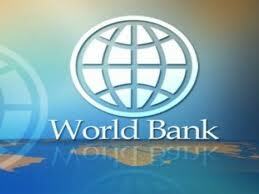 It is a central component of a World Bank’s effort to support the ongoing Palestinian Reform and Development Plan. Currently, the PRDP-MDTF donors are the governments of Australia, France, Kuwait, Norway, the United Kingdom, and Japan. With the new tranche release, the PRDP-MDTF will have disbursed about $1 billion. Since the signing of the Oslo Accords, a new point of view appeared and has begun to express itself with increasing audacity of late. In substance, it contends that winning national rights is something that requires struggle and sacrifice, and these things are beyond [Palestinians’] reach. In the telling of those who hold this view, a national solution is far off and cannot be achieved [at present] due to the flagrant imbalance of forces between the two sides, and in light of Palestinian weakness and internal division. Moreover, the status of the [other] Arab states brings friends no comfort and enemies much gladness. Therefore, goes this narrative, we can only focus on providing ourselves with our loaf of bread, strengthening our steadfastness by building institutions, demonstrating our merit, and showing goodwill by unilaterally fulfilling Palestinians’ political, economic and security commitments. This leads them to the view that the economy is of paramount importance and that it constitutes the key to bringing about peace, after the failure of politics to do so. There is no fundamental problem with the aforementioned view. That is, if it distinguishes itself from the “economic peace” hypothesis propounded by Israeli Prime Minister Benjamin Netanyahu, if it was part and parcel of a strategy for preserving what we [Palestinians] have instead of offering new concessions, or embarking on ill-conceived adventures at an unpropitious time. The real flaw with the aforementioned view is that it paves the way for calls to accept what is on offer in the belief that nothing better can be achieved. Even if it requires “communicating” with Israelis at all levels — including right-wing circles, settler circles, and extremist circles — in an attempt to persuade them to establish a Palestinian state. Even if it comes at the expense of the refugees’ cause, involves [the Palestinian state’s] demilitarization, requires land swaps, security arrangements with Israel, and guarantees Israel’s security and right to exist in both the near- and long-term. In this context, normalization with the enemy in all its forms, and particularly in the realm of economics, becomes the main (if not the only) means of dealing with it. [The proponents of this view] want normalization to take the place of armed struggle in all its forms. At this juncture, it makes no difference whether the Israeli with whom one is dealing supports Palestinian rights or not, is opposed to the occupation or supportive of it, since communicating with the Israelis is necessary to convince them [of the need to satisfy] Palestinian rights — even if it leads to the dissolution of these very same rights, conceding them [in negotiations], or delaying them until an Israeli partner ready to meet them appears. This point of view began to be applied in fits and starts once the Oslo Agreement was signed; over the last 10 years, however, its application has been systematic and comprehensive. 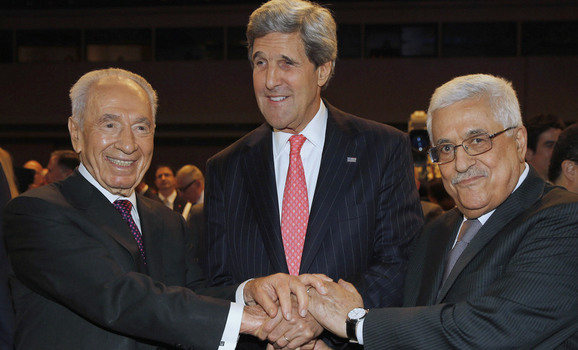 That is, after the Palestinian leadership agreed to the Road Map, which gave priority to Israeli security. It thus changed the nature of the conflict by describing it as though it were a conflict over territory between two equal parties, or about the form and nature of peace, and the arrangements that had to be agreed upon [to achieve it], or to bring about a two-state solution, or as though it were a conflict between extremists and moderates on both sides, or between terrorism and those opposed to terrorism (where it was incumbent upon the “new Palestinian” to prove his hostility to terrorism and the resistance to the bone). Why is it impossible to reconcile between obtaining a loaf of bread and a dignified life for oneself on the one hand, and struggling to restore one’s rights on the other? Because prioritizing the loaf of bread over the rights led to the latter’s dissolution, as well as to the impossibility of securing a dignified life. Meanwhile, the Palestinian struggle can achieve both at once. In this context, it is natural that we would find the supporters of “runaway, unbridled normalization” supporting the resumption of negotiations without conditions, on the grounds that this might embarrass Israel and show it to be an obstacle to peace before the entire world, and particularly the US. As though, 20 years after Oslo, the world does not already know this to be the case. In truth, such a strategy opens up the road to the “economic peace” that will bring them [the Israelis] great influence and wealth. They have also refused to go to the UN, because that would lead to a confrontation with the American administration. As for those of them who supported it, they did so in order to use it as a tactic to pressure [the Israelis] into returning to bilateral negotiations under exclusively American auspices and not in order to provide an alternative to these negotiations. This same approach has been adopted, and is still being adopted, with regards to reconciliation [with Hamas], popular resistance [to Israel], and boycotting the settlements. All these slogans are just tactics to leverage a return to negotiations, despite the fact that everyone has come to understand that [those negotiations] can never lead to a national solution. But they are necessary to prevent matters from moving in the direction of an escalating conflict that would advance the goal of isolating and boycotting Israel, of imposing sanctions on it, and of Palestinians employing a variety of political and military alternatives to render the occupation more costly to Israel. Instead, the occupation is currently a profitable endeavor. Or, if you like, a “five-star occupation”. We must not be surprised at the bitter results of this approach. Oslo has not only dealt a crushing blow to the unity of the Palestinian cause, land and people, to their detachment from one another; not only has it led to each one of these elements being divided, and then divided again; not only has it led to the abandonment of some forms of the struggle before its goals are even achieved. It has also led to the emergence of a socio-economic structure led by certain individuals and segments within the PA and outside of it. They have grown wealthier and more influential since Oslo, while the majority of the Palestinian people in the West Bank and Gaza have grown poorer. Supporters of the aforementioned point of view try to justify it on the grounds that it is capable of providing employment opportunities to Palestinians. [They insist] that something is better than nothing, particularly given the increasingly deteriorating economic situation. But in truth, this policy is not leading to an economic solution. Instead, they are paving the way for US Secretary of State John Kerry (who has promised a bundle of vast economic projects after having failed to deliver any substantive political progress) to sway Palestinians into accepting this bribe. It will not even be a generous bribe, as those promoting it claim; the lion’s share will be captured by narrow classes and a few individuals. And if this policy is adopted, it will become an alternative to the struggle to end the occupation and win [Palestinian] national rights. Yes, Palestinians need to live, work, rejoice, sing, learn, receive medical treatment, and progress forward, just as they are in need of the struggle to end the occupation of their land, especially after the failure of the so-called “peace process.” They cannot put it up for barter [and be forced to choose] between their rights and the necessities of a life with dignity. Whoever does this contributes, whether consciously or unconsciously, to justifying submission to the occupation and coexistence with it, under the pretense of “communicating’ with the Israelis in [an attempt] to win them over to the Palestinian side. More than 20 years of normalization in all its forms have not increased the size of the peace camp within Israel, nor have they moderated it. On the contrary, they have led to greater Israeli extremism and the occupation’s deepening entrenchment, racism and belligerence. Whoever wants to influence the enemy and sharpen his contradictions must be capable of influence; in order to be capable of influence, he must be active, united, and possess a vision capable of influencing; he must be read to struggle on behalf of that vision, and make sacrifices in the process. We cannot remain under occupation, in a state of conflict likely to deteriorate, and yet put in place economic and political plans as though we were in a state of peace or headed toward one. Economics cannot serve as a key to politics and to cooperation with Israel as long as Palestinians are not on the same level [as Israel]: possessing an independent state and an economy not subject to occupation. Thick locks hug the front gates of shuttered shops, now covered in graffiti and dust from lack of use. Only a handful of customers pass along the dimly-lit road, sometimes stopping to check the ripeness of fruits and vegetables, or to order meat in near-empty butcher shops. “All the shops are closed. I’m the only one open. This used to be the best place,” said 64-year-old Mustafa Sunocret, selling vegetables out of a small storefront in the marketplace near his family’s home in the Muslim quarter of Jerusalem’s Old City. Spokesman for the Palestinian government Taher Al-Nunu criticized the economic peace plan of US secretary of state John Kerry, saying it greatly endanger the Palestinian national project. 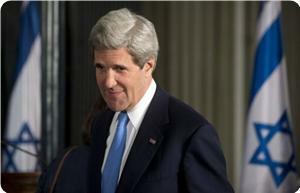 In a press release on Monday, Nunu said that Kerry's plan was not different from earlier US pledges to turn the occupied Palestinian territories into the Singapore of the middle east, adding that such pledges were the biggest deceitful scheme used by the US to promote the Oslo agreement that led to serious subsequent concessions and a decline in the national project. He also noted that similar pledges were also made during the 2007 Annapolis conference that ended up with more settlement and Judaization activities in the occupied territories. He warned that there is a risk of turning the Palestinian cause into a humanitarian issue rather than a question of occupation and political conflict. The spokesman of the government noted that the renewed US economic plan goes in line with the ambitions of the sycophants from Fatah faction, especially Mahmoud Abbas's entourage who have unlawfully accumulated millions of dollars because of their business relations with the Israeli occupation. "They could sell out the remaining Palestinian rights in exchange for money, and they are no stranger to such attitude," he added. Head of Gaza reconstruction committee in Lebanon, Abdullah Bapti, said that Gaza constitutes a fertile ground for investment in light of the prevailing security and stability in the strip. Thirty-nine businessmen from different Arab countries arrived on Thursday in Gaza City to survey the investment environment and discuss launching new projects in the strip, where 250 businessmen were scheduled to attend an international investment conference in Gaza City. However, the closure of Rafah crossing prevented their attendance. He told PIC reporter that "investment elements are available in Gaza to enable Arab businessmen to invest especially in housing and industry fields." He pointed out that Gazans succeeded in developing and advancing production in the strip despite the Israeli continued siege. During Cairo conference for investment, we approved the launch of a number of projects in Gaza strip and we came here to put the foundation stone for some of the selected projects, he explained. 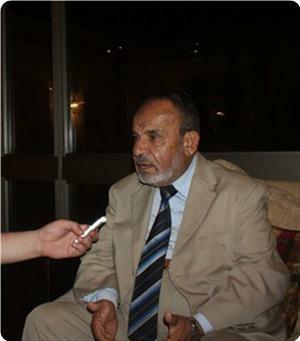 The Arab committee for Gaza Construction, established in 2009, would keep organizing such meetings to consolidate investment in Gaza and to set up projects in various fields. The Palestinian government accused the Israeli occupation of systematically destroying and targeting the ecological system and the agricultural environment in the Gaza Strip. In a session held on Sunday by the information office of the government, head of the environment quality authority Yousuf Ibrahim said that the environment in Gaza suffered considerable damage as a result of the Israeli blockade that affected the maintenance of the sanitation networks. Ibrahim added that 90 percent of Gaza groundwater is unsuitable for human use because of several reasons including Israel's blockade which led to the failure of the Palestinian government to maintain its sanitation and water treatment facilities. He said his authority works diligently to address this problem and called on the Gazans to necessarily rationalize water consumption. He affirmed that the Palestinian citizen in the densely-populated Gaza consumes large amounts of water and disposes of solid waste in the valley area and the sea, which notably affect the natural environment there. The official noted that 20 percent of the beach water along the coastline in Gaza is contaminated and unfit for swimming, adding that some foreign groups funded projects to get rid of the accumulated waste in Gaza valley and to make it once again a nature reserve. A delegation of Moroccan businessmen arrived in the Gaza Strip on Saturday evening, via the Rafah crossing. 25 Moroccan businessmen arrived in the Gaza Strip to finance projects and see the investment environment in the besieged Gaza Strip, Palestinian sources reported. They sources said that the Moroccan MP Issa Kiki headed the Moroccan delegation, which includes a number of other MPs, as well as Moroccan prominent personalities. 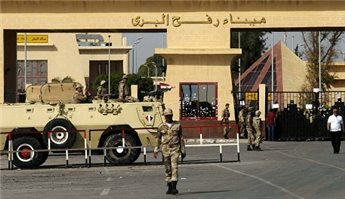 The delegation was scheduled to arrive in the Strip a few days ago to participate in the Investment Forum, which was supposed to take place on May 20 with participation of hundreds of Arab and Turkish businessmen; however, the conference was canceled due to closure of the Rafah crossing after the abduction of Egyptian soldiers in the Sinai. Meanwhile, a high-level delegation of the Advisory Board of the Malaysian Islamic institutions arrived in the Gaza Strip on Saturday evening in order to inaugurate several humanitarian projects. The delegation is headed by Dr. Azmi Abdul Hamid, head of the Advisory Board of the Malaysian institutions, and includes eighty representatives from NGOs and humanitarian work activists in Malaysia. The delegation will inaugurate the Mosque of Omar Bin Abdul Aziz, in northern Gaza, which was built with funding from the delegation. It will also visit the poor people's houses that are being restored within the restoration project funded by the Advisory Board, and in coordination with the Office of Humanitarian Affairs of the Organization of Islamic Cooperation in the Gaza Strip. Cash donations will also be offered to the poor and orphans during the visit. The Advisory Board of the Malaysian Islamic institutions, which includes 87 Malaysian civil institutions, organized several humanitarian convoys to the Gaza Strip and implemented several relief and development projects. President Mahmoud Abbas said Saturday that the leadership in Ramallah was working to form a unity government within weeks. “It may need the coming two weeks,” Abbas told Ma'an on the sidelines of a global economic forum in Jordan. At the conference, Abbas met the secretary-general of the Arab League, Nabil al-Arabi, and other Palestinian economists and businessmen. 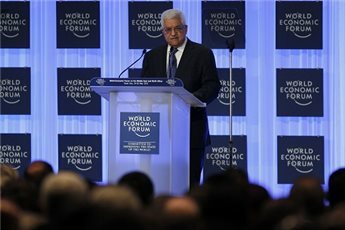 On Saturday, Abbas said that peace with Israel was still possible and called for international investment in Palestine, as the World Economic Forum convened at a Jordanian Dead Sea resort. "We still say we want a comprehensive and just peace, and we want to have two states living side by side in accordance with international resolutions, the Road Map plan and the Arab Peace Initiative," Abbas said during the opening session. "Everybody knows we have committed to the agreements we signed and we have already fulfilled our obligations," he added. Abbas urged businessmen from Arab countries to invest in Palestine and create partnerships with Palestinian business leaders. "Israel has prevented us from exploiting our lands and natural resources, however, Palestine has promising opportunities and vast horizons in the fields of tourism, agriculture, industry, information technology, power generation, petroleum, natural gas, potassium and other fields," Abbas said. Economic investments support peace and stability in the region, he added. Directly addressing Israel, the president said that "ending the occupation of our land, releasing our prisoners, evacuating settlers and dismantling the apartheid wall are the elements that will make peace and security for you and for us. "This is doable, so let's make peace a reality on the ground for our present and future generations to enjoy." Abbas said he hoped that efforts by US Secretary of State John Kerry would result in an end to Israel's occupation and guarantee a Palestinian state on 1967 borders with East Jerusalem as its capital. The World Economic Forum on the Middle East and North Africa is convening from May 24-26 in Jordan, and brings together over 900 government, industry, media, civil society and youth officials to discuss advancing conditions for economic growth. Head of the Palestinian businessmen forum Jamal Karim, who has led a delegation of Arab businessmen to Gaza, pledged to carry out investment projects supporting the steadfastness of Gaza people in the face of the occupation. Karim made his remarks in an evening meeting held on Thursday by the ministry of economy at Movenpick hotel in honor of the visiting businessmen. The head of the delegation said that their visit to Gaza was aimed at developing some familiarity with the investment environment in the Strip, noting that the investment conference would be organized soon after it was postponed as result of the recent Sinai kidnapping incident. "The nation is awake and is waiting for the right moment to march to the resistance land in order to liberate Jerusalem from the profanity of the Zionist occupation," he stated. For his part, Palestinian minister of economy Alaa Rafati said that the Israeli blockade on Gaza has given its people the incentive to work, produce and create development. Rafati stressed that the unjust policies of the occupation would never succeed as long as the children of Palestine have the will and determination, and bear the burden of the Palestinian cause. Palestinian Production Bank is scheduled to start its banking business in Gaza Strip on May 27 with a staff that includes Palestinian and foreign financial experts headed by a Kuwaiti businessman. 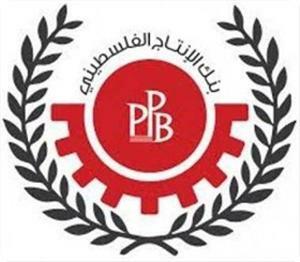 Palestinian Production Bank is considered the second bank in Gaza Strip, in addition to the Islamic National Bank, to operate according to Islamic rulings. The Gaza government has permitted the Palestinian Production Bank to start its banking business in Gaza, the bank manager Rami Abu Shaaban told Quds press, noting that the Monetary Authority in Ramallah refuses to grant a work permit to the bank due to its low capital. The PA Monetary Authority has set a capital estimated at $50 million as a crippling condition to prevent the opening of new banks in Gaza Strip since 2006, Abu Shaban explained. Abu Shaaban confirmed that the PA Monetary Authority refused to grant the bank a work permit and called for boycotting it. He said that the bank has a capital of $20 million and is based on Islamic financing of old and new projects in Gaza Strip. 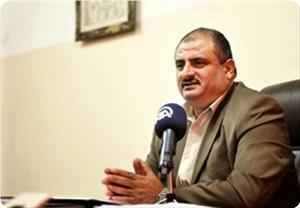 A delegation of Arab and Turkish businessmen arrived on Thursday in the Gaza Strip on a solidarity trip. The delegation, which includes thirty-nine businessmen, was received at the Rafah crossing by the Undersecretary of the Ministry of National Economy Hatem Owaida and a number of Palestinian officials. The businessmen were scheduled to attend an international investment conference in Gaza City. However, the conference was postponed due to five-day closure of Rafah crossing after the abduction of the seven Egyptian soldiers. Owaida told reporters at Rafah crossing that although the conference was cancelled, the businessmen decided to visit the Gaza Strip. The delegation of businessmen held in the Egyptian capital Cairo this week a meeting during which they announced the establishment of a fund for investment in the Gaza Strip; in order to support small projects. The World Bank Board of Executive Directors advised its Board of Governors to authorize the US$55 million replenishment of the Gaza and West Bank Trust Fund, a World Bank press release said Thursday. This supports investment in municipal services, energy, water and sanitation, as well as social protection and education. “Our program with the Palestinian people is designed to support the sustainable development of both the private and public sectors,” said Mariam Sherman, World Bank Country Director for West Bank and Gaza. “Good governance and transparency are key elements in building the Palestinian institutions of state. In parallel, to really drive growth, the energy of private sector has to be unleashed and this means building confidence and removing restrictions to the free flow of commercial activity", Miriam added. The Bank also approved a US$40 million development policy grant to support the Palestinian Authority’s (PA) reform program as outlined in the Palestinian National Development Plan (PNDP). This is the fifth in a series, totaling US$160 million, of budget support grants for public sector governance and transparency reforms. In addition, US$10 million will be allocated to a second Municipal Development Project to improve local management practices and transparency, in line with the national plan’s goals of fiscal decentralization and community participation. “Supporting reform in local government is central to improving the living conditions of Palestinians. The municipal level plays a crucial role in service delivery,” said Soraya Goga, Senior Urban Specialist. Since 1994, the World Bank has allocated a total $805 million of its own resources towards Palestinian development. In addition, it has administered nearly US$1 billion from other donors through the Palestinian Reform and Development Plan Multi-Donor Trust Fund since 2008. The Bank’s current portfolio in the West Bank and Gaza includes 18 projects totaling $154 million. 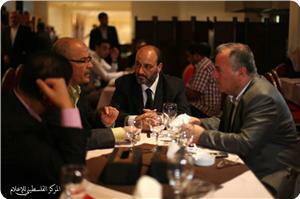 Thirty-nine businessmen from different Arab countries arrived Thursday in Gaza City on a solidarity trip. A spokesman of the Hamas-run ministry of national economy Tariq Labad told Ma’an the businessmen were scheduled to attend an international investment conference in Gaza City. However, the conference was postponed due to five-day closure of Rafah crossing after Jihadist gunmen abducted seven Egyptian soldiers. The businessmen will stay in Gaza for a few days. 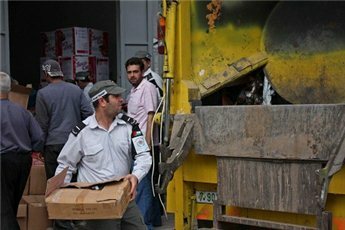 Palestinian Central Bureau of Statistics (PCBS) issued a press statement about the Palestinian Registered* External Trade in Goods of March, 2013. Exports decreased in March, 2013 by 6.3% compared to February,2013 and increased by 4.9% compared to March, 2012 and reached USD 64.6 Million. Exports to Israel decreased in March, 2013 by 6.0% compared to February, 2013 and represented 89.3% of total exports in March, 2013. On the other hand exports to other countries decreased by 8.6% during the same period compared to February, 2013. 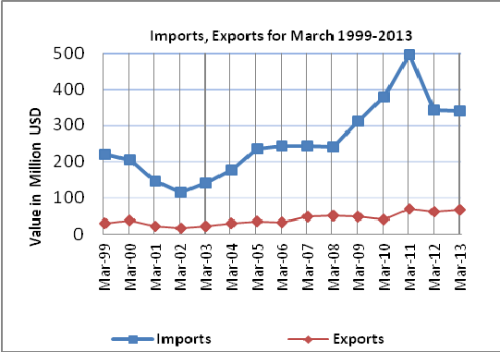 Imports decreased in March, 2013 by 6.9% compared to February,2013. And decreased by 0.7% compared to March, 2012 and reached USD 339.2 Million. Imports from Israel decreased by 7.3% in March, 2013 compared toFebruary, 2013 and represented 69.2% of total imports in March, 2013. On the other hand, imports from other countries decreased by 6.1% compared to February, 2013. The trade balance which represents the difference between exports and imports showed a decrease in trade deficit by 7.0% compared toFebruary, 2013. And decreased by 1.9% compared to March, 2012 and reached USD 274.6 Million. Health officials at el-Bireh municipality in cooperation with the Ramallah governorate and the Ministry of Agriculture seized on Thursday about 400 kg of rotten peaches in a vegetable market. The Israeli government has decided to re-extend Gaza's fishing zone to 6 miles, after reducing it in March following a rocket attack from the coastal territory, a statement from Israel's army said Tuesday. The decision was announced after a meeting between Israeli premier Benjamin Netanyahu and defense minister Moshe Yaalon, who then informed the Palestinian leadership in Ramallah. Senior Egyptian and international officials were also informed about the decision, the statement added. In March, Israel's army announced that the fishing zone for Palestinians in Gaza would be reduced from six to three miles following a rocket attack. The zone had been extended to 11 km as part of an Egyptian-brokered ceasefire that ended an eight-day conflict between Israel and Hamas in November, in which 166 Palestinians and six Israelis were killed. In the Oslo Accords, Israel agreed to a 20-nautical-mile fishing zone off Gaza's coast but it has imposed a 3-mile limit for several years, opening fire at fishermen who strayed further. 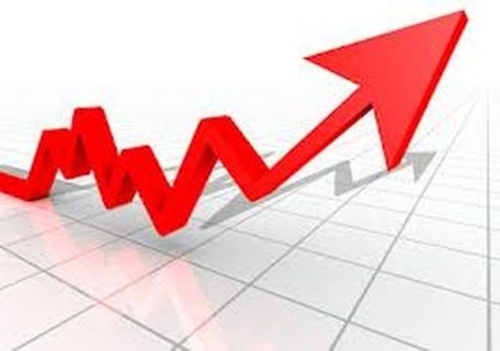 Palestinian Central Bureau of Statistics (PCBS) announced in a press release that the overall Consumer Price Index (CPI) for Palestine during April 2013 decreased by 0.09% compared with March 2013. In the Gaza Strip, it decreased by 0.73%, and by 0.21% in Jerusalem, while it increased by 0.13% in the West Bank). The CPI during April 2013 increased by 1.14% compared with April 2012. 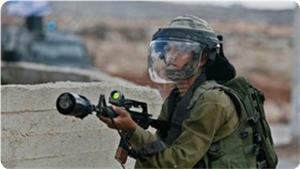 It increased by 2.23% in the West Bank, 0.91% in Jerusalem, while it decreased by 1.04% in Gaza Strip. PCBS said in its report that the change in Consumer Price Index (CPI) for April 2013 is traced back to changes in prices of Fuel for Housing by 5.96%, Fuel for transportation by 3.93%, Fresh vegetables by 2.76%, eggs by 1.93%, Gas by 1.03%, Potatoes and other tubers by 11.16% and fresh fruit by 3.86%. Gross Domestic Product (GDP) in Palestine witnessed remarkable growth of 5.9% during 2012, Palestinian Central Bureau of Statistics (PCBS) said in its report. The GDP per capita increased by 2.7%. Services activity recorded highest growth rate in 2012 of 13.2%, followed by construction with 6.5%, and information and communication with 5.9%. Growth in the Gaza Strip totaled 6.6% compared with 5.6% in the West Bank. The services sector contributed the highest percentage of Gross Domestic Product (GDP) in both the West Bank and the Gaza Strip. The participation rate in the labor force increased to 43.6% in 2012 compared with 43.0% in 2011. This growth in participation is attributed to the significant increase in the size of the labor force due to workers entering the labor market. In 2012, the number of employees grew by 2.5% compared with 2011 to total 858 thousand employees compared to 837 thousand employees in 2011. The unemployment rate in Palestine increased to 23.0% in 2012 compared with 20.9% in 2011. Although the nominal daily wage increased in Palestine in 2012, the real daily wage fell by 1.4% compared with 2011, demonstrating the low purchasing power, i.e. any increase in nominal pay was less than inflation in Palestine during that period. The productivity rate in Palestine increased by 1.9% in 2012 compared with 2011. Most economic activities in Palestine witnessed a rise in the number of employees by different percentages, with disparities between the West Bank and the Gaza Strip. Transport, storage and communications recorded the highest rate of growth in the number of employees of 8.4% in 2012 compared with 2011, and services, building and construction also recorded increased numbers of employees in 2012. 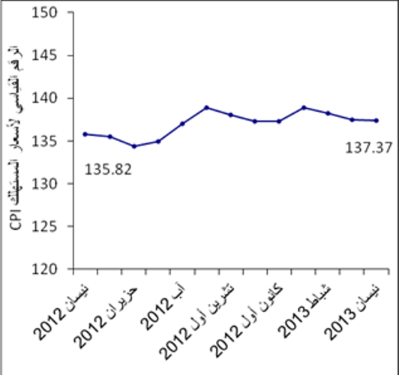 The consumer price index in Palestine rose by 2.78% during 2012 to 136.40 compared with 132.71 in 2011 (base year 2004). The growth in the consumer price index during 2012 was mainly attributed to the increase of prices in all major groups. Despite the slight rise in poverty rates in Palestine, 25.8% of individuals were in poverty in 2011 compared with 25.7% in 2010, according to real patterns of consumption. The poverty rate in Palestine was inconsistent and stood at 17.8% in the West Bank in 2011 compared with 38.8% in the Gaza Strip. The current account deficit in Palestine increased during 2012 to USD 2,814.8 million, the highest since 2000. This deficit is attributed to the steady rise in the value of imports of goods and services to Palestine, while Palestinian exports remained static: this increased the trade balance deficit by 11.4% compared with 2011. Compensations of employees from abroad fell during 2012 by 16.5%: current transfers and remittances decreased by 16.6% to USD 1,649.6 million compared to USD 1,976.9 million in 2011. 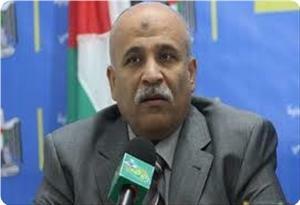 The Palestinian budget deficit increased by 13.8% in 2012 compared to 2011. This was due to an increase in government expenses at a higher rate than the increase in government revenues; total revenues increased by 1.4% during 2012 to USD 2.1 billion but government expenses increased by 6.2% over the same period. External financial support to cover the deficit in the Palestinian budget decreased by 4.8%: total external support was USD 775.5 million during 2012 compared with USD 814.8 million in 2011. The Palestinian government in Gaza is to supervise the Arab-Turkish economic conference scheduled to open in the coastal enclave this month. Abdulsalam Siyam, the secretary of the council of ministers, said that 200 Arab businessmen and economists would attend the conference. Siyam said in a press release on Monday that the conference would contribute in supporting Gaza and breaking the siege on it. He added that the conference would be an opportunity for the Arab businessmen to be briefed on various aspects of life in Gaza. 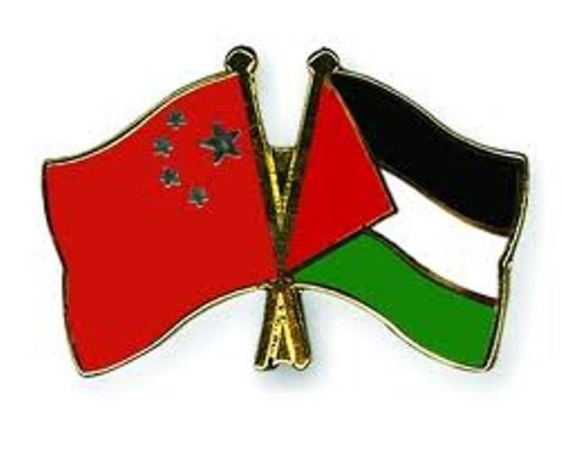 On Monday 6th May, cooperation agreements have been signed between Palestine and China in the presence of the Palestinian president Mahmoud Abbas and his counterpart Xi Jinping. The first agreement was on economic technical cooperation was signed by Presidency's secretary-general At-Tayyib Abdul-Rahim and the Chinese culture minister Cai Wu and the second agreement was on "cultural exchange" program signed by the Palestinian ambassador to China Ahmed Ramadan and the Chinese minister of education Yuan Guiren. 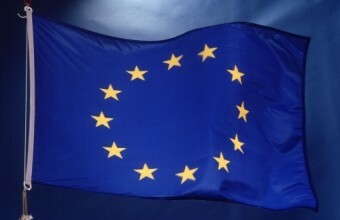 The European Union has contributed approximately €20 million to the payment of the April salaries and pensions of nearly 76,000 Palestinian civil servants and pensioners in the West Bank and the Gaza Strip, the European Commission said in a press release. "The European Union continues to support the Palestinian Authority, month by month, to meet the basic needs of the Palestinian population. Our contribution to the payment of salaries and pensions is one of the most tangible ways to help ensure delivery of public services," said the EU Representative Mr. John Gatt-Rutter. 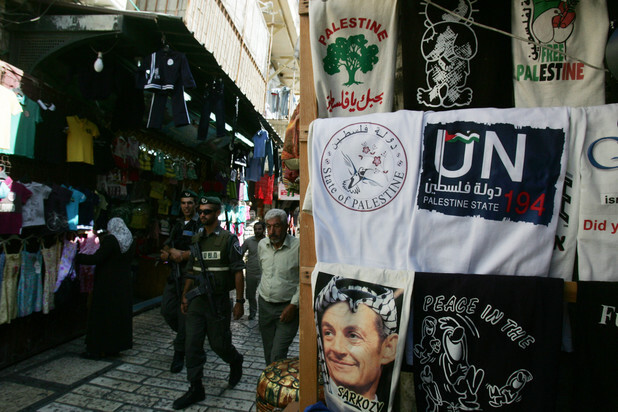 "The EU's direct financial support to the Palestinian Authority is not merely a cash-injection. Taken together with our institution-building programmes our efforts are designed to achieve real reforms on the ground," added the EU Representative. This contribution is channeled through the PEGASE mechanism (an instrument to channel EU and international assistance as a contribution to the building of the Palestinian State), which supports the Palestinian National Development Plan by helping the PA to finance its budget deficit and implement its reform agenda; meet its obligations towards civil employees, pensioners and most vulnerable citizens, and maintain the functioning of the administration and the provision of essential public services to the population. 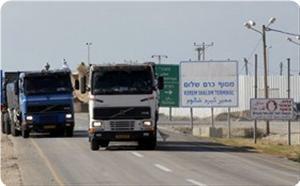 The popular committee against the siege has said that Israel had closed Gaza’s sole commercial crossing Karm Abu Salem for 17 days during the past month of April. The committee said in a statement on Saturday that the closures were either due to weekend holidays, Fridays and Saturdays of each week, for eight days or due to security pretexts, which amounted to nine days. It said that the crossing was thus closed for 67 days since the start of 2013, recalling that Israel was maintaining the closure of the former crossings of Soufa, Mintar, and Shujaia. The repeated closure of Karm Abu Salem since the start of the year had led to 100 million dollars in direct and indirect losses for the private sector, it pointed out. Today, 1 May 2013, marks the International Labour Day, which commemorates peoples right to work, along with their protection of human rights in the work place. 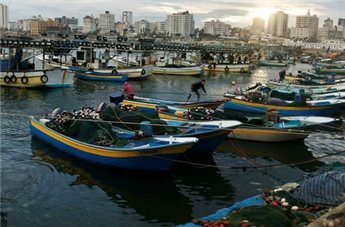 However, as the rest of the world celebrates this day, the situation of fishermen in the Gaza Strip continues to deteriorate. 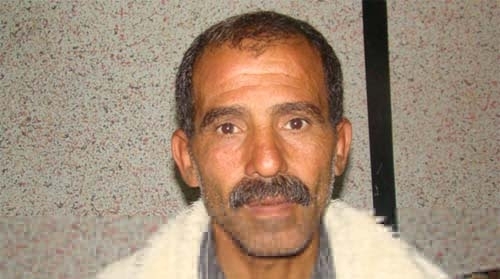 Jamal Ismail Faris Baker (48) a fisherman from Gaza City with a family of 9, has been fishing for 35 years now and has witnessed the steady decline of the fishing industry in Gaza. Life spiralled out of control for Jamal a few days after the conclusion of Israel’s military operation Pillar Of Defence on the Gaza Strip in November 2012. Under the November 2012 ceasefire between the Israeli and Palestinian authorities, the fishing limit was supposedly extended from three nautical miles to six nautical miles. However, in March 2013, this fishing limit was reduced to the previous three nautical miles. Israel’s attacks against Palestinian fishermen in the Gaza Strip, who do not pose any threat to the security of the Israeli naval forces, constitute a flagrant violation of international humanitarian and human rights law. The fishing exclusion zone, maintained through arbitrary arrests and attacks, constitutes a measure of collective punishment, which is prohibited under Article 33 of the Fourth Geneva Convention. The right to work, including in just and favourable conditions, is provided for under Article 23 of the Universal Declaration of Human Rights, as well as under Article 6 and 7 of the International Covenant on Economic, Social and Cultural Rights (ICESCR). Moreover, Article 11 of the ICESCR recognizes "the right of everyone to an adequate standard of living for himself and his family, including adequate food, clothing and housing, and to the continuous improvement of living conditions."